Two events. Two world titles for François Pervis. Following his peerless display at last year’s world championships where he won three world titles his 2015 homecoming is looking every bit as impressive. 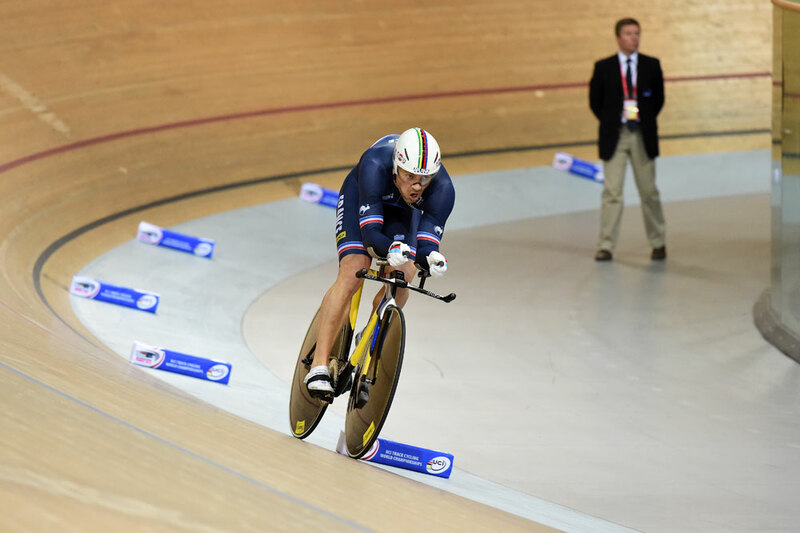 Pervis lives just one kilometre from the new track in Saint-Quentin-en-Yvelines and won the kilometre title – his third – in front of his family and friends who were all in the velodrome. Pervis stopped the clock in 1:00.207 to win by nine hundredths of a second. Quite a margin at this level of competition. He adds the title to the keirin one he won yesterday and in this form you wouldn’t bet against him winning the sprint title on Sunday. Not that he let the thought of two more days of competition daunt him. After his kilo ride he sat and talked to the press for 20 minutes. Then did so again after the medal ceremony before going on to pose for pictures with the local fireman – seemingly on hand to pump out rainwater from areas outside the velodrome – and and endless stream of requests for selfies. 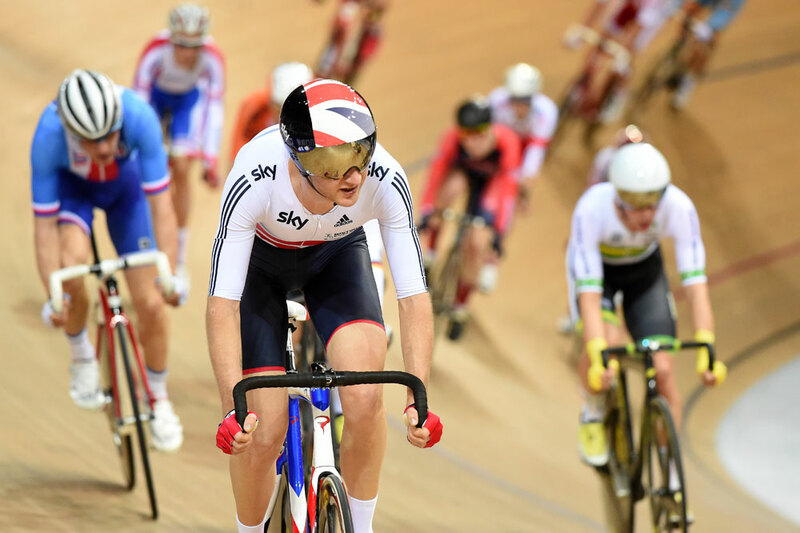 Britain’s Callum Skinner was seventh with 1:01.071 while Kian Emadi finished 12th with 1:01.736. Russia claimed its second gold medal of the championships as Artur Ershov ran out winner of the men’s points race. The RusVelo rider won with just 31 points in a close race that went down to the last sprint. Just four points seperated the top five and Ershov’s tally is the lowest winning score since Cameron Meyer won with just 24 points in 2009. Mark Christian placed 17th. 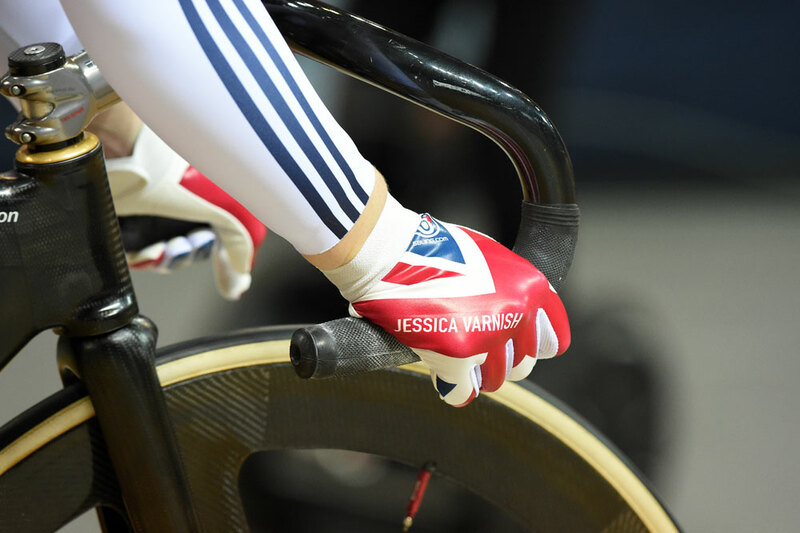 Jess Varnish gets past Anna Meares in their 1/8 final sprint. Joanna Rowsell’s individual pursuit title defence finished without a medal as she was comfortably beaten by Amy Cure (Aus) in the bronze medal final. Two gold medals last year had set the bar high. “Last year I was absolutely flying and it went perfectly. 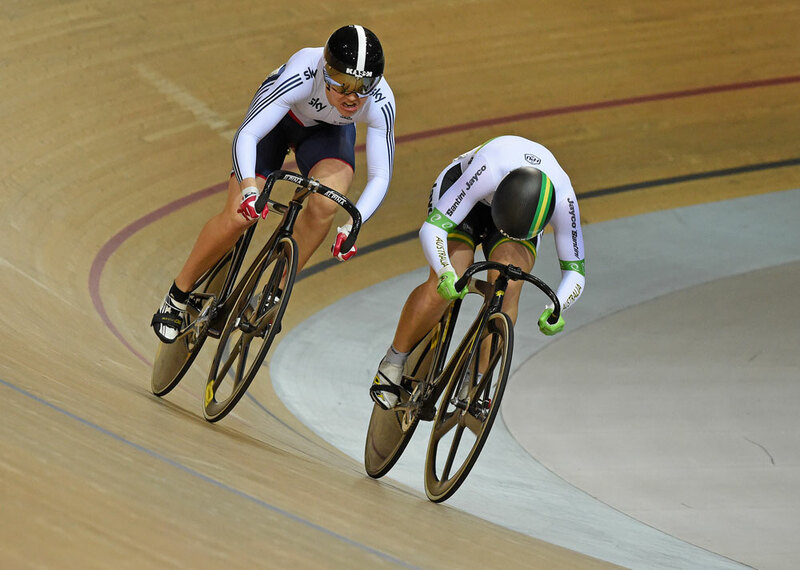 This year has been a real battle.” said Rowsell. Defending champion Joanna Rowsell qualified fourth in the individual pursuit. The Australian team underlined the massive steps they’ve taken in women’s pursuiting by winning gold and bronze with Rebecca Wiasak and Amy Cure respectively. Jennifer Valente (USA) split the two Australians to take silver. 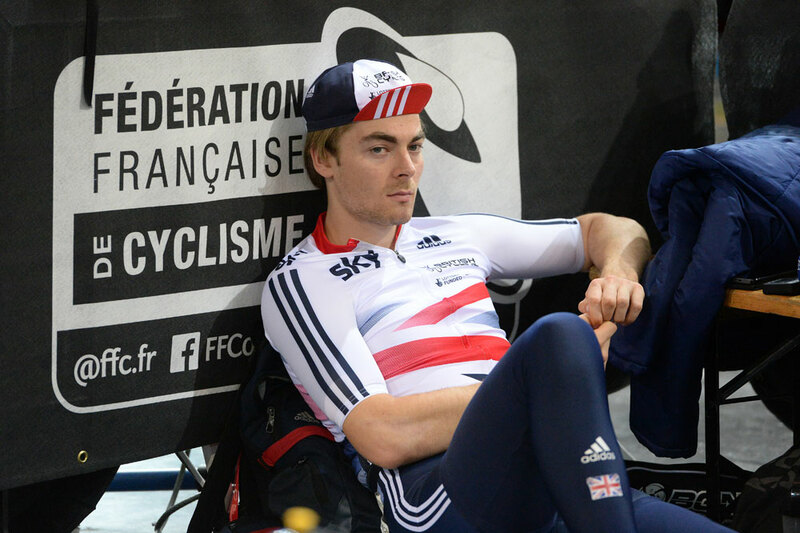 Jon Dibben takes some time out between omnium rounds. 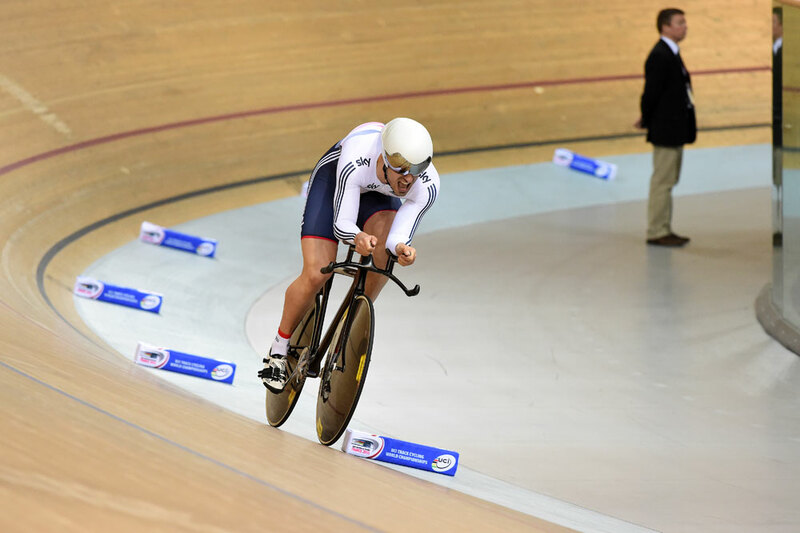 Jon Dibben made a good start in the men’s omnium with second place in the risky scratch race. Dibben rode a sensible race and placed well in the sprint. 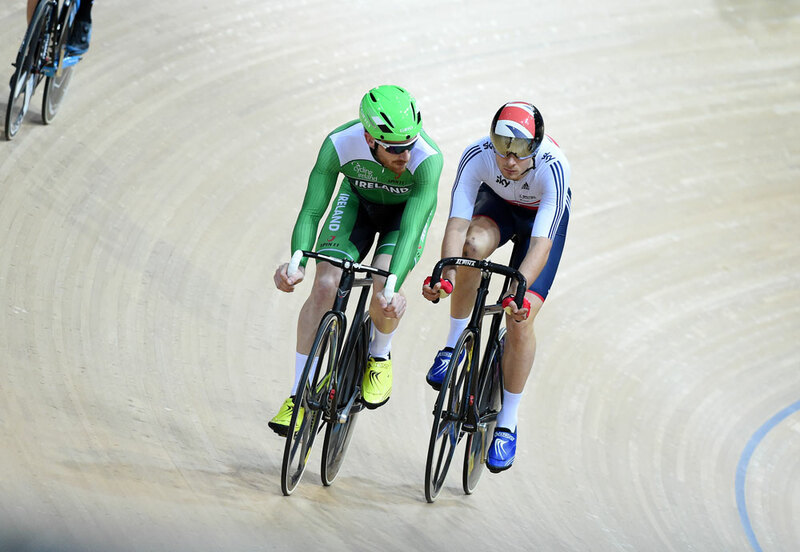 Unlike Ireland’s Martyn Irvine who gambled on a win with a lone break. The Irishman was swept up with four laps to go and promptly spat straight out the back of the bunch. Dibben finished mid field in the pursuit won by Australia’s Glenn O’Shea and was then the fifth rider out of the elimination race won by Elia Viviani. The competition resumes tomorrow. 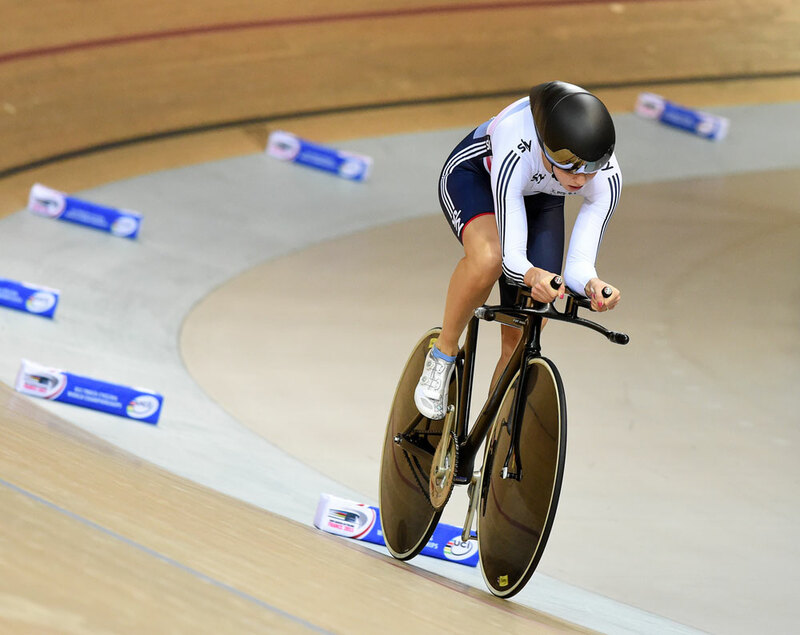 Laura Trott will begin her omnium campaign and looks like being Great Britain’s only realistic gold medal chance of these world championships.